Holla! 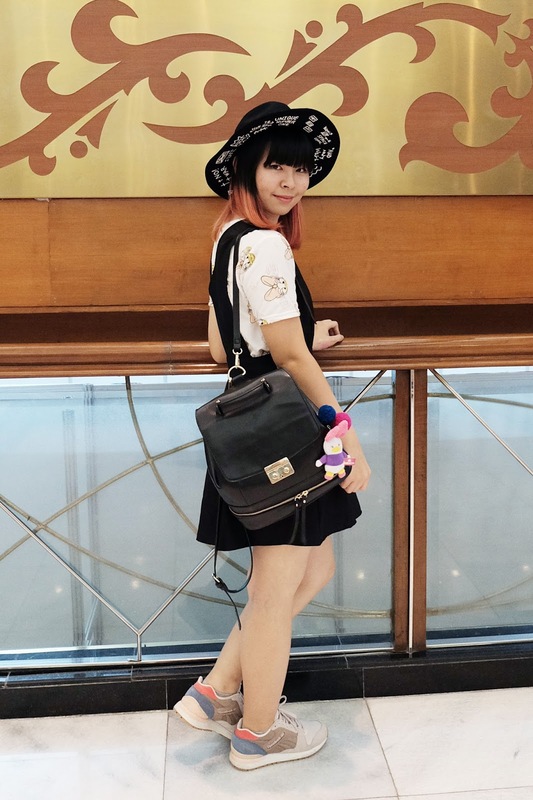 It's an outfit post today :) Remember my event report about Mukka Cosmetics? 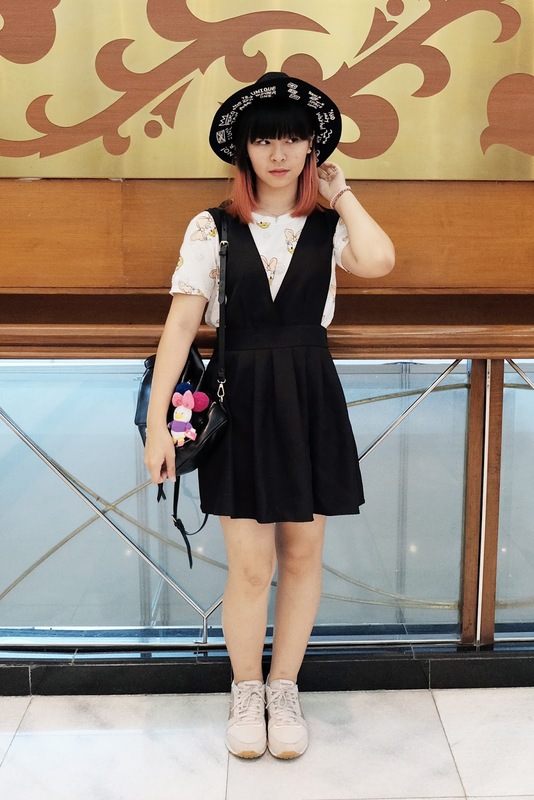 This is what I wore to that event and one of my favorite outfit. Scroll to read more! I was working and asked a permission to attend this event, so I went there straight from the office. I brought a better clothes to change, in case you're wondering. I don't wear something like this to work, haha. 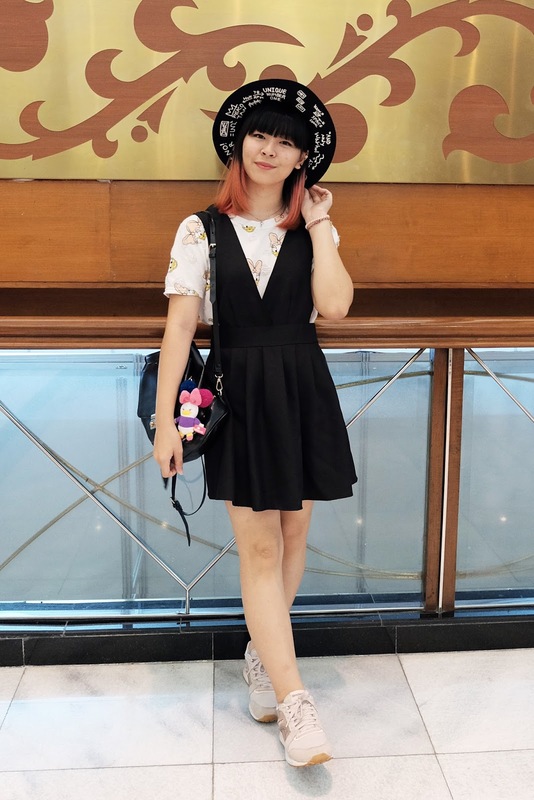 Most of the items in this outfit are unbranded: My mom bought me this Daisy Duck tee from bazaar, I bought this overall dress at Mangga Dua (after long consideration and finally decided that I must have it). I always want to own a hat like this and finally got it from Gabriella Olivia at a blogger bazaar. Also wearing my most-comfortable-ever sneakers from Reebok and the usual black backpack. I don't know why but I feel like I look girly here; it's somehow because of my hat, hair, or makeup :)) What do you think about this look? Do you prefer me in girly or boyish outfit?